A land of many industries and faces - the Camargue, in the Provence region of France is a prominent producer of salt. Camargue Salt product from the Parc Naturel Regional de Camargue, Plaine de la Camargue, Camargue, Les Bouches du Rhone, Provence, France, Europe. 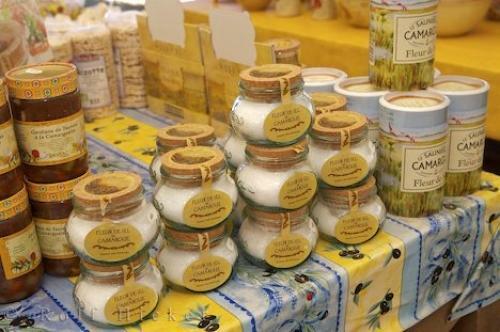 Photo of jars of Camargue salt sold at road side stalls in the Camargue, Provence, France.